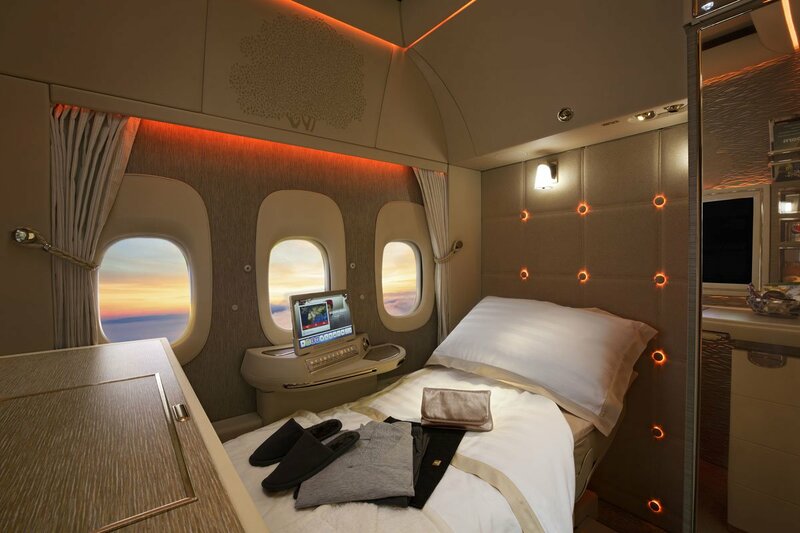 Emirates unveiled completely revamped interiors for its Boeing 777 aircraft on Sunday, including its first class private suites. The highly anticipated unveiling officially took place during the first day of the 2017 Dubai Airshow, but the airline had dropped a few sneak previews online a few days prior ahead of the official launch. The new ‘game-changing’ suites have been inspired by Mercedes-Benz, and feature a completed refreshed look with floor to ceiling doors, sleek design and new materials with a whole new level of privacy being offered to passengers. 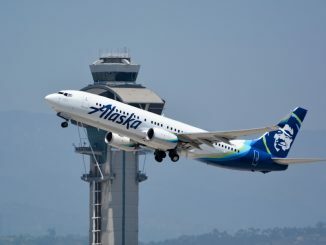 The multi-million-dollar upgrade offers customers up to 40 square feet of personal space, with private suites being laid out in a 1-1-1 configuration. 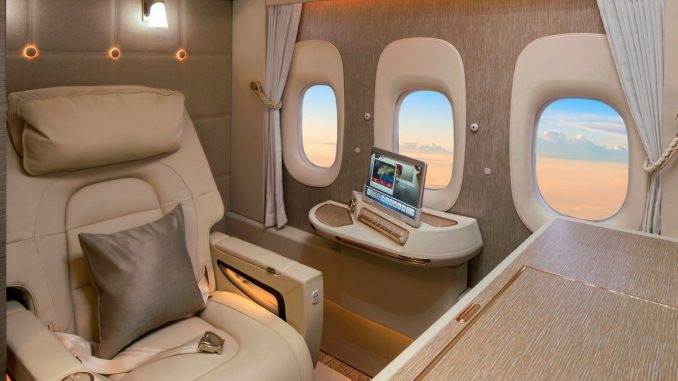 The enormous upgrade includes a complete revamp of the whole aircraft, from first class all the way through to economy with the aircraft being fitted with new washrooms and galleys along with newly-designed seats and in-flight entertainment systems. The entire Boeing 777 cabin has been given a revamped interior, with a lighter and more modern color scheme, new lighting and textured panels. 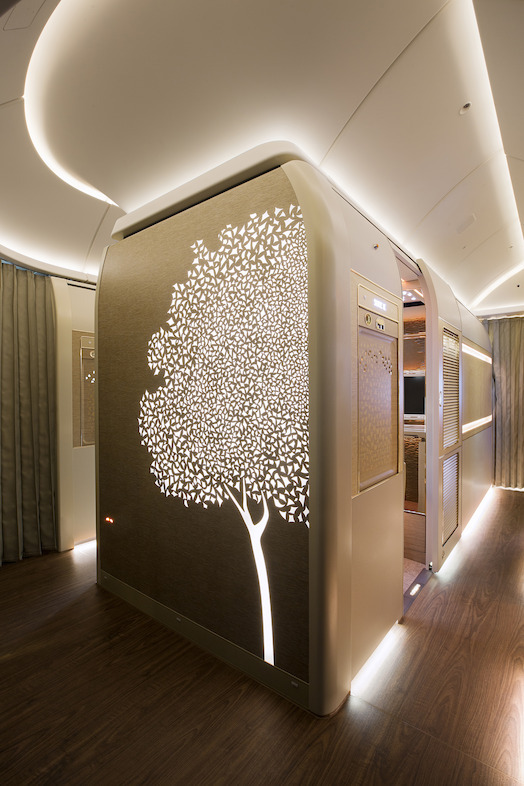 A particular highlight comes in the form of an artistic motif of the Ghaf (Prosopis cineraria) tree which is used as a design highlight throughout the aircraft. The brand new cabins will be introduced into service on Dec. 1, 2017, debuting on services to Geneva and Brussels. The airline currently has 165 Boeing 777s in service, with another 164 on firm order. The airline will eventually roll out the new cabins on its A380 aircraft, but a date has yet to be announced. 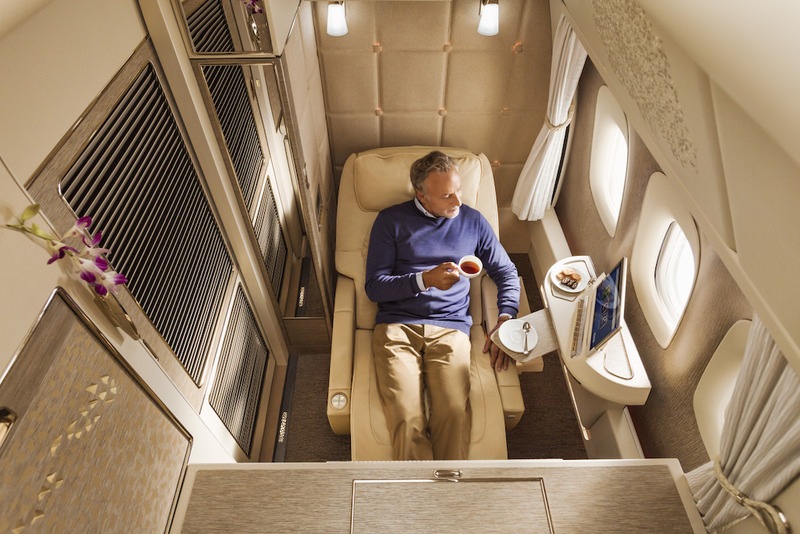 For the economy cabin, Emirates chose a new color scheme consisting of soft greys and blues. The seats have been redesigned with full leather headrests which have adjustable side panels for optimum support. 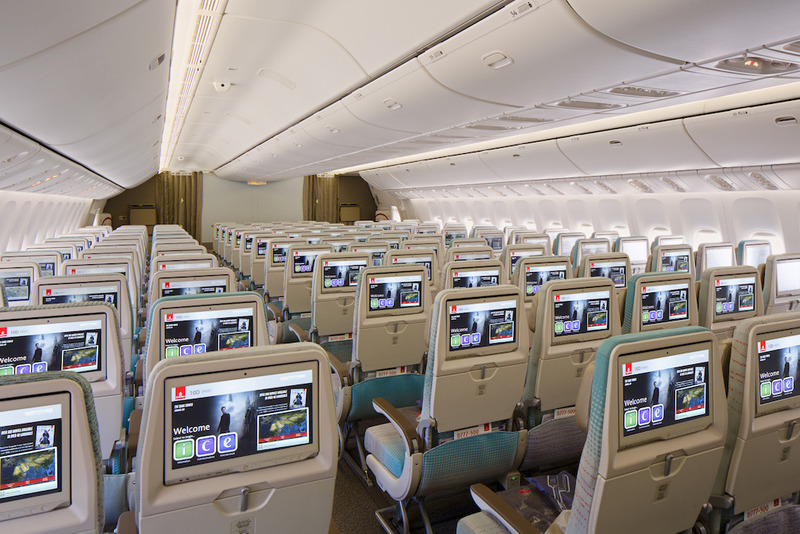 The cabin will also receive the latest version of Emirates award-winning inflight entertainment system, ICE. Each seat has been fitted with new full HD screens, providing customers with better image quality, ultra-wide viewing angles, and touch-screen capabilities. 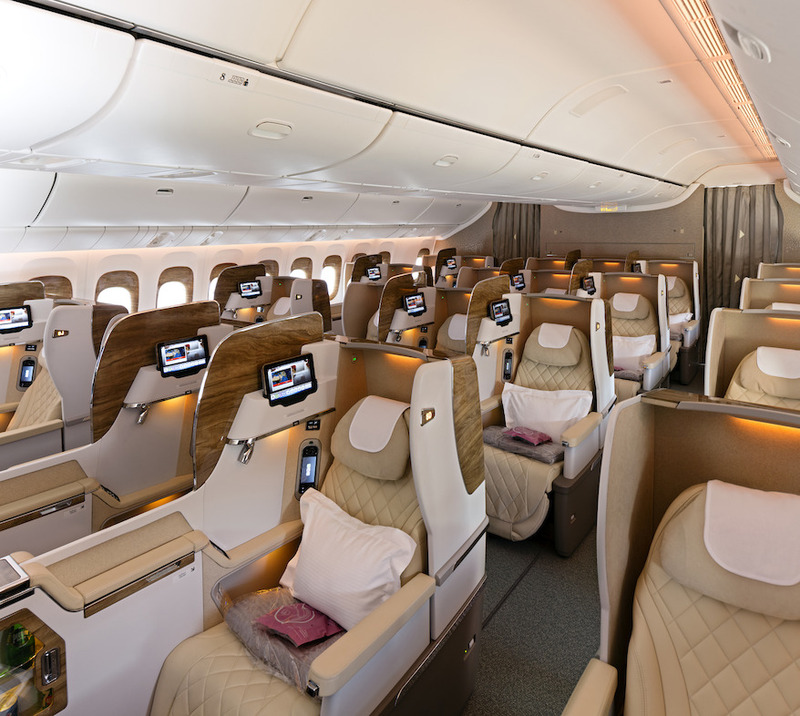 In the business class cabin, Emirates has continued with their motor vehicle inspiration by revamping their newly designed business class seats from last year with some different colors and finishes. The seats leather cover has a diamond stitch pattern, and the headrest has been ergonomically designed to provide a sleek look and feel. As in the previous business class cabins, the seat moves into a fully-flat sleeping position with a seat pitch of 72 inches. The seat has also been fitted with touchscreen controls to control both the seat and inflight entertainment systems. 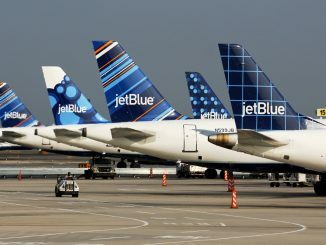 Passengers will also have access to shoe stowage, footrests, and their own personal mini-bar. Undoubtedly the highlight of the whole unveiling was the new first class suites. With the partnership with Mercedes-Benz, the latest cabin interior pays homage to both companies’ passion for innovation, luxury, and comfort. The new interior features a whole new color palette consisting of cream, champagne, and soft greys to create a contemporary environment with an open, airy and luxurious feel. The suites were also designed in collaboration with Boeing, Rockwell Collins interior systems, Panasonic, Jacques Pierre Jean Design studio and Teague, to ensure that the suites deliver on a functional, practical and technological level alongside a high level of comfort and luxury. The new leather seat reclines into a position called “zero gravity,” a position inspired by NASA technology to give passengers a feeling of relaxation and weightlessness. A new addition for passengers is the introduction of virtual windows. 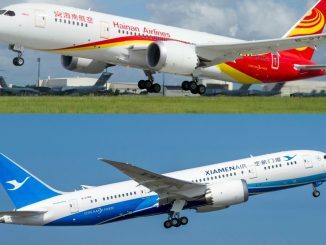 This industry first will allow passengers located in the middle aisle a view of the outside the aircraft, using camera technology fitted to the outside of the aircraft. For passengers looking for an even more detailed view, Emirates is offering passengers the rather quirky use of binoculars to further explore out their windows. 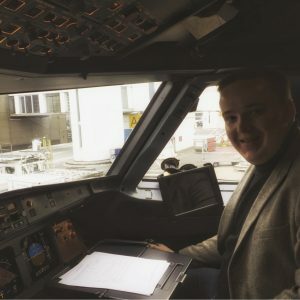 The suites have also been fitted with a video call function, allowing passengers the option to easily communicate with the cabin crew without the need for a one to one discussion. The suites have also been fitted with a service window where customers can be served drinks and food without disruption. 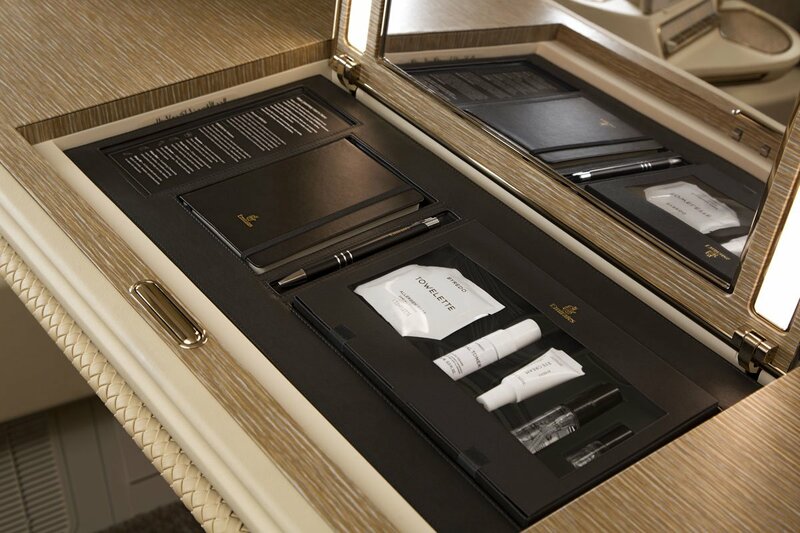 In addition to all the new exciting features, each suite will be fitted with an inspiration kit featuring a luxury Byredo skincare collection, an exclusive to Emirates alongside Hydra Active moisturizing pajamas and Bulgari amenity kits. This latest cabin design will undoubtedly prove a hit with customers. The suites take what was already a fantastic and popular first class product to a whole new level of luxury, comfort, and beauty.